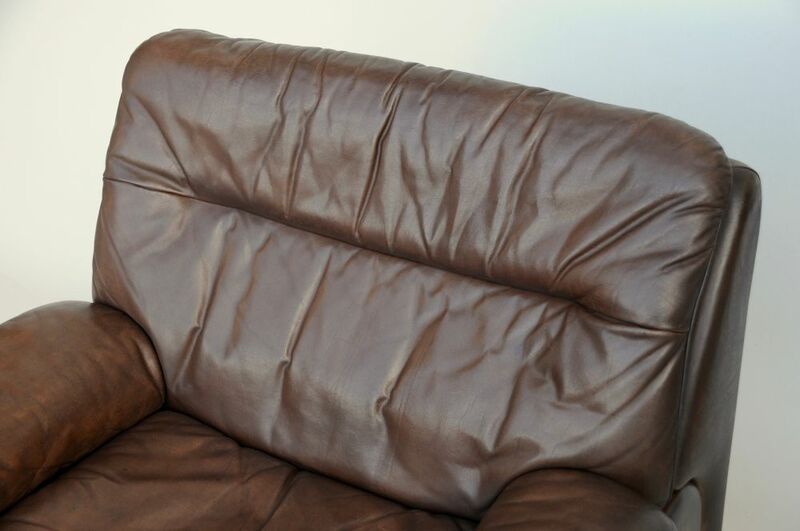 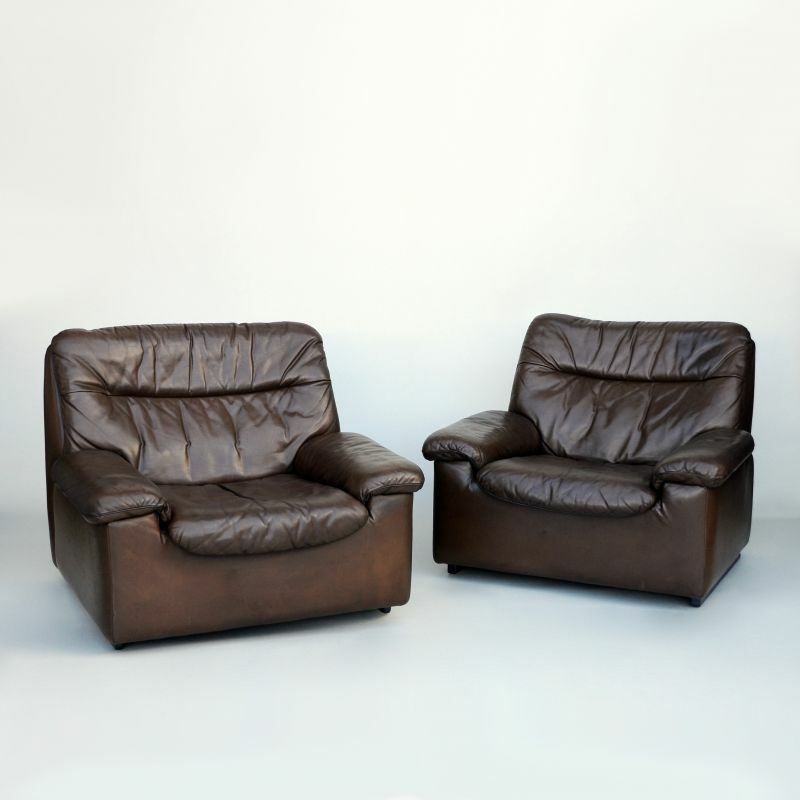 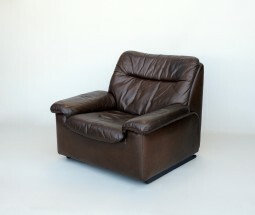 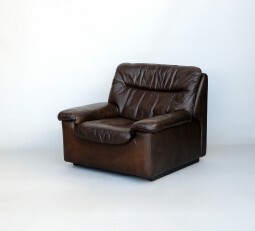 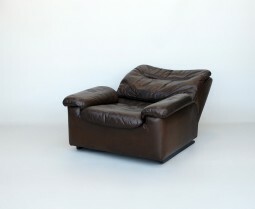 This is a pair of very comfortable and stylish leather armchairs by the Swiss designers and manufacturers, de Sede. They are generally regarded as the makers of the best quality upholstered furniture in the world. 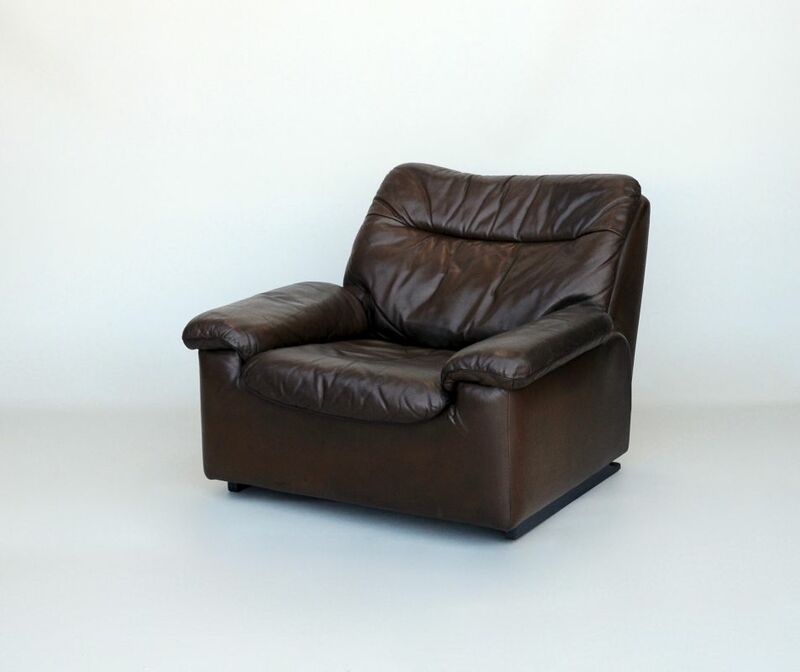 These DS 66 chairs date from the 1970s. 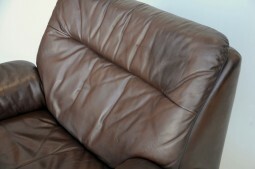 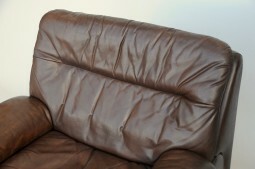 One of these two armchairs reclines by pulling a leather tab. 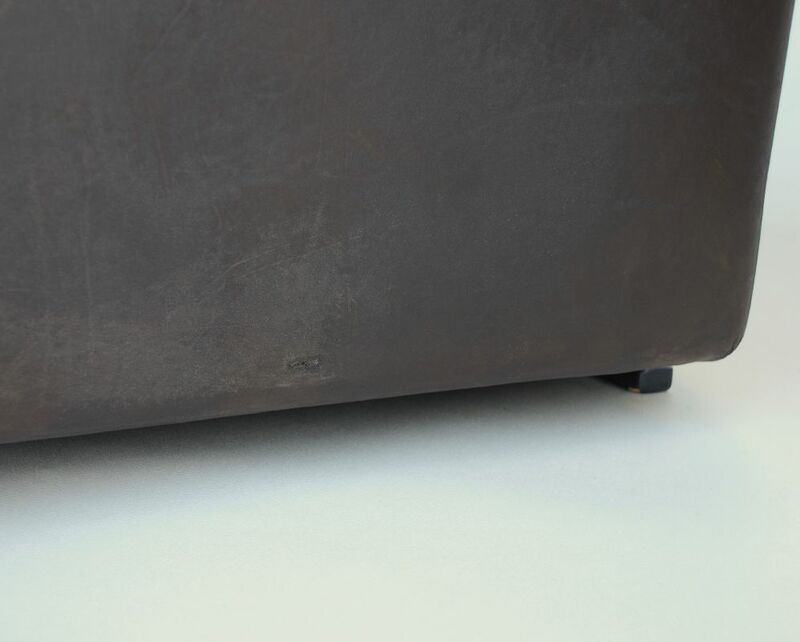 You can fix the position of the back just by letting go the tab. 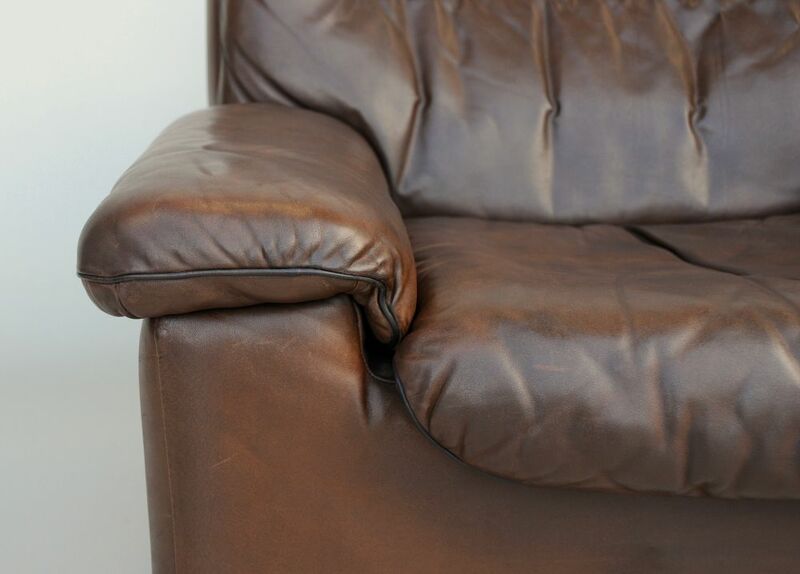 Condition is very good, the chairs have developed a characterful patina over the years and have a lived in look that many people look for in leather. At the lower back of one of them, there is a small slit in the leather. 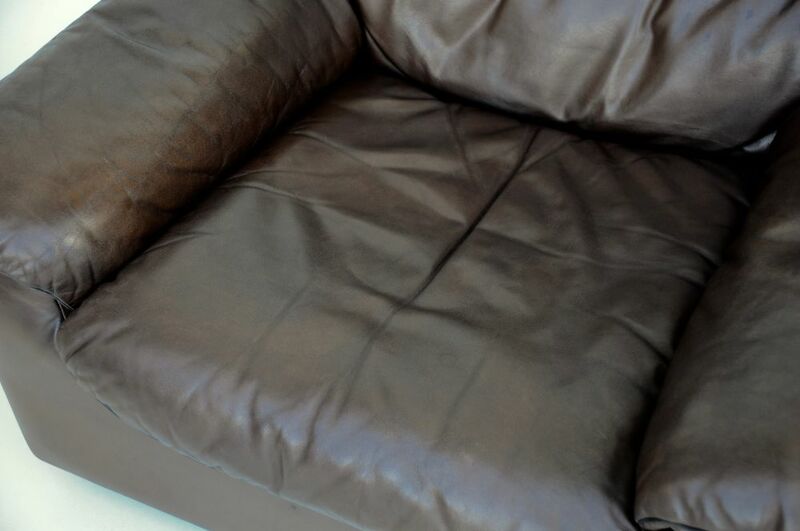 They have been cleaned and waxed with leather cream. The measurements are 95 cm wide, 85 cm deep and 77 cm high, and the seat is 38 cm high.